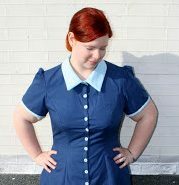 I watched last year’s Vintage Sewing Pledge unfold with interest, but didn’t get involved because I was too busy, and because I became aware of it a little too late in the year. Not that I’m exactly onto it early this year, but I figure I still have time. So, here’s me joining the Vintage Pledge for 2016. I, Kirsty from Tea & Rainbows, pledge to make at least six vintage garments this year, possibly 7. Ambitious? Yes. But I have a sewing plan this year, and all of these patterns feature on it, so we’ll see how I go! 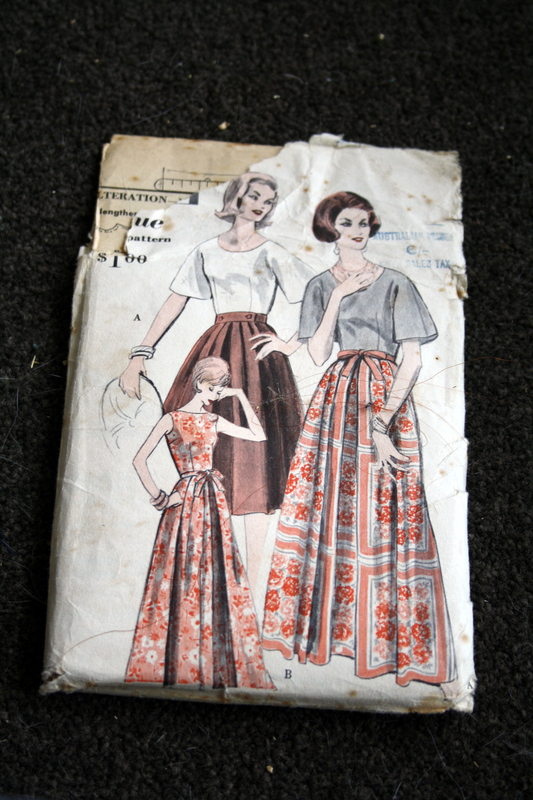 I have quite a lot of vintage sewing patterns. I’ve pared them down over the years, but almost every time I go to an op shop, I walk away with another one! I rarely sew with them though, so I’m hoping this pledge will spur me on to get some of them made up! 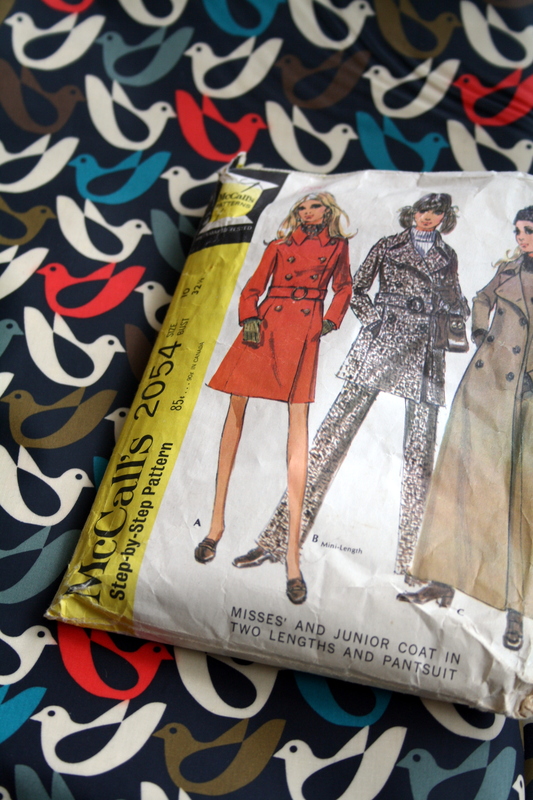 First up we have McCall’s 2054, a trench coat from 1969. I’m planning on making view A into a rain coat, with this waterproof bird-print fabric from The Fabric Store. I’m pretty excited about it! 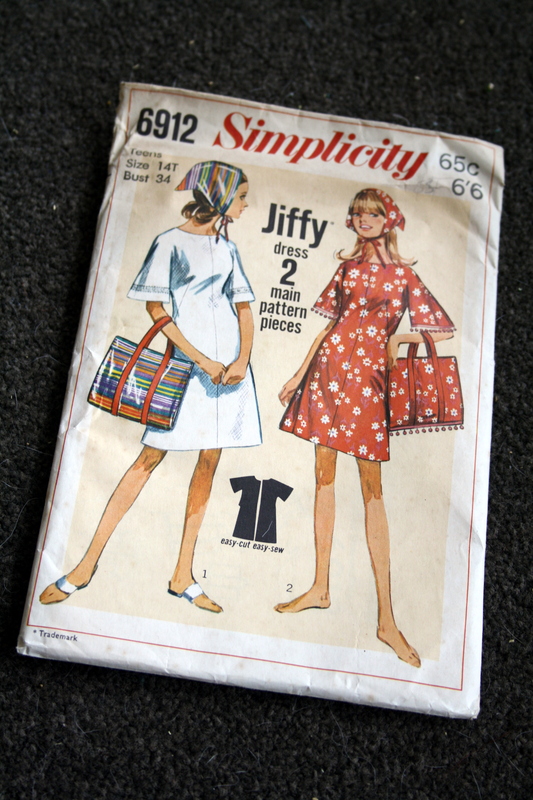 Next up, Simplicity 6446 from 1966. I think this one is super cute with the little tie collar! Especially loving the polka-dot one to the far right. I’ll probably make this with longer sleeves. This one is my most recent acquisition, from a rather odd junk shop down the road from me that’s only open on Sundays. 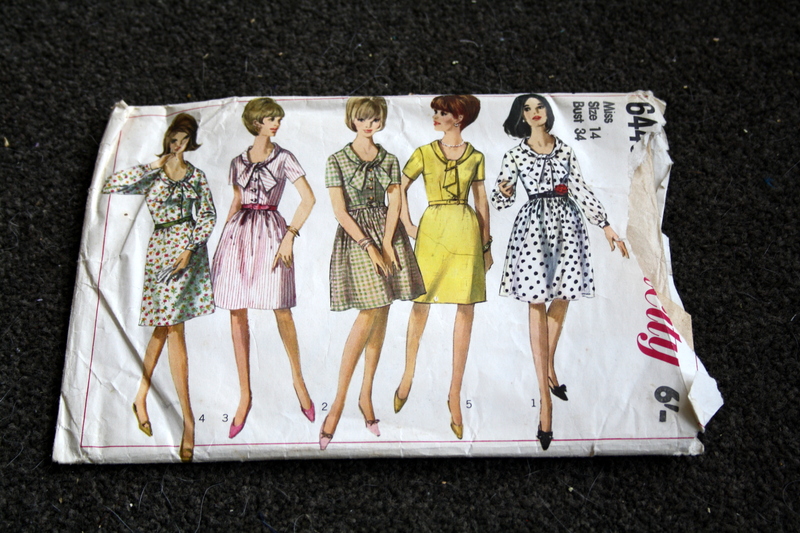 Simplicity 6912, also from 1966. The only thing that worries me is it’s a teen pattern, but I’m hoping I can just grade up without too much trouble as it’s a very simple pattern. How gorgeous is this one? Vogue 9976, from 1960. A wrap-back blouse and skirt that looks really elegant and easy to wear. And I need more separates in my wardrobe! 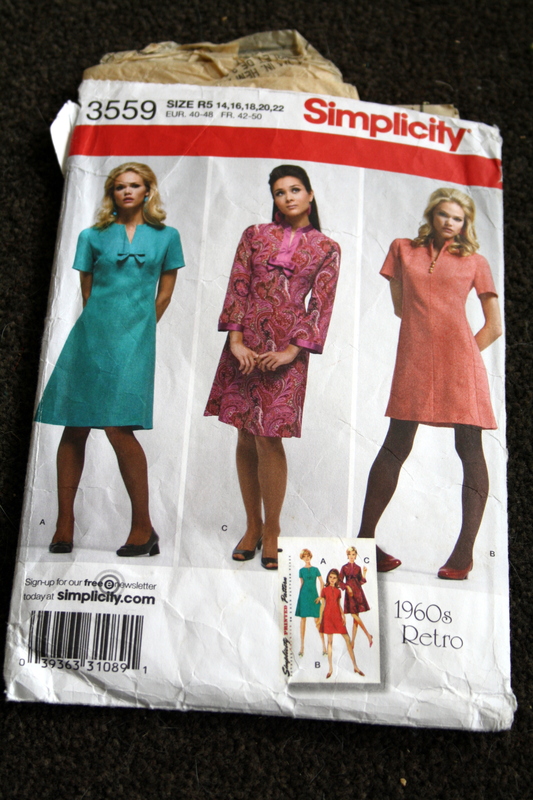 Simplicity 3559 is a reproduction of an original 60s Simplicity pattern (I’m pretty sure this is allowed, but correct me if I’m wrong) that I think is simple and cute. I like the teal version with the bow! 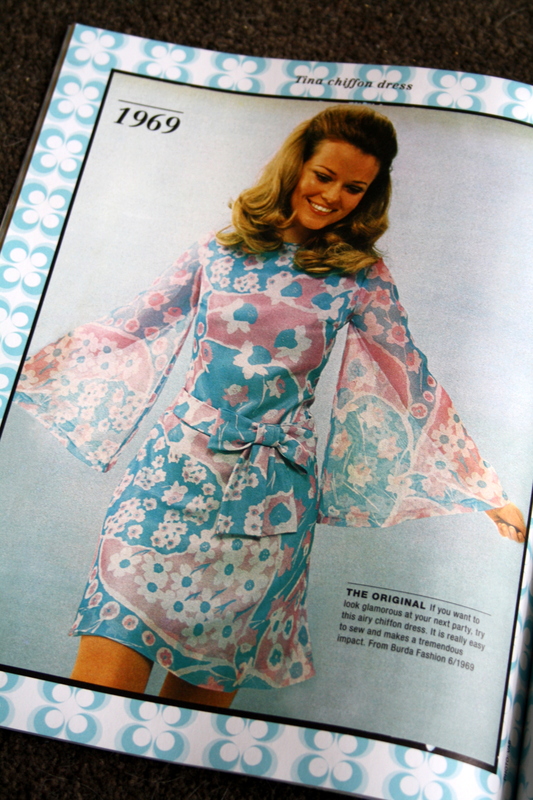 I’ve already cut this one out – it’s originally from 1969, and is now in the Autumn/Winter Burda Vintage magazine. I’m not doing mine in chiffon though – I’m hoping to use a border print cotton I got in Mood a while back, but if not, I have other options. 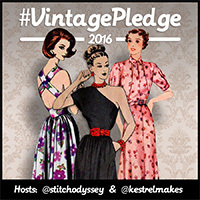 Are you joining the Vintage Pledge this year?